The 2017 S.F. Cherry Blossom queen court candidates at a media preview March 12. photo by William Lee. 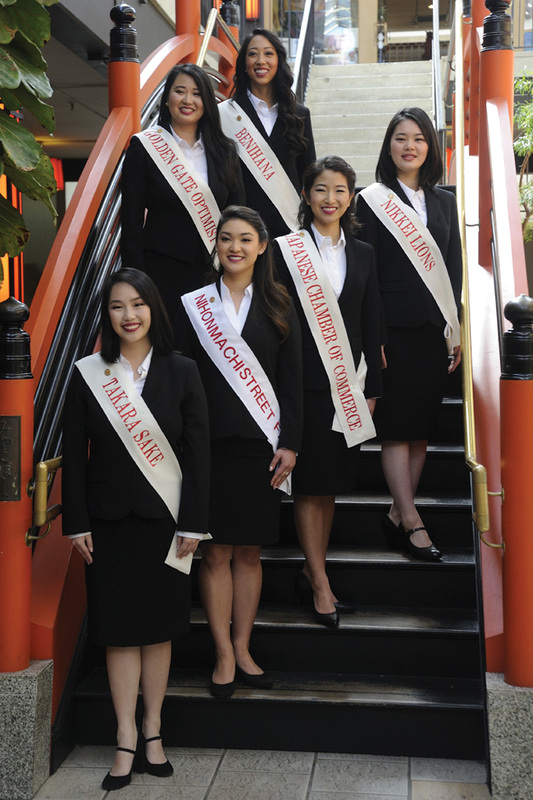 The Northern California Cherry Blossom Festival Queen Program presented its 2017 queen candidates during its annual festival preview March 12 at the Union Bank Community Room in San Francisco’s Japantown. The Queen Program, a highlight of San Francisco’s 50th annual Cherry Blossom Festival, will take place Saturday, April 8 at the AMC Kabuki 8. The candidates are: Kellie Rachel Ouye, Kelli Keiko Fujinaga, Ayame Yoshizawa, Hilary Kiyomi Ego, Sydney Kikue Sugiyama Paderna and Jacquelyn Kimiko Chew. Kellie Rachel Ouye, 26, a Yonsei, is from El Cerrito, Calif. She received a bachelor’s degree in zoology from Washington State University and currently works at Lending Club as part of their member support team. She attends the Berkeley Higashi Honganji Buddhist Temple and has volunteered at their annual bazaar. She has served on the bazaar committee and helped to cook udon. Ouye said her favorite aspect of Japanese culture is its food. She considers herself a baker and said her specialties are midnight chocolate mini-cupcakes and lemon sugar cookies. Her creative expression during the program will be geriatric advocacy. 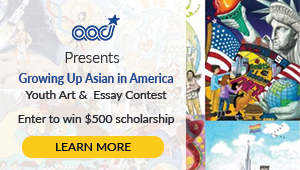 Ouye is sponsored by Takara Sake USA Inc.
Kelli Keiko Fujinaga, 23, a Yonsei, is from Foster City, Calif. She received a bachelor’s degree in marketing from Santa Clara University and currently works at Shea Labagh Dobberstein as a recruiting and marketing coordinator. As a member of the San Mateo Buddhist Temple, she saw fellow temple member, Tiffany Sieu Okimura, participate in the program in 2013, which inspired her to learn more about both Japanese culture and Japanese American history. “I also had heard many stories from my grandparents about their experience in the internment camp and want to learn more and meet more individuals to hear about their experiences.” Fujinaga has danced hula since the second grade and will dance hula for her creative expression. “I love hula,” she said. “From the moment I learned the first steps, I just found love and that’s my way of expressing myself.” Fujinaga is sponsored by Nihonmachi Street Fair. Ayame Yoshizawa, 19, a Shin-Nisei, is from San Francisco. She is currently pursuing a degree in cinema at the City College of San Francisco. She works at Uniqlo and is a teacher’s assistant at Soko Gakuen. She said she has always loved watching films and was inspired to create short films while in high school with friends. One of her favorite directors is Quentin Tarantino. After middle school, Yoshizawa moved to Japan to study to become a maiko (apprentice geisha) for six months at her mother’s suggestion, to learn more about Japanese culture. “It was really nice now that I think about it, but it was very stressful,” she said. Yoshizawa will perform nihon buyo (classical Japanese dance) during the program. She studies dance at the Japanese Cultural and Community Center of Northern California under Michiya Hanayagi. Yoshizawa is sponsored by Nikkei Lions Club of San Francisco. Hilary Kiyomi Ego, 25, a Yonsei, is from San Francisco. She received a master’s degree in water resource management and a bachelor’s degree in environmental studies from the University of Nevada, Las Vegas. She currently works for the San Mateo County Community College District as a utility and sustainability specialist. Ego said her interest in environmental science stems from watching Al Gore’s “An Inconvenient Truth” in high school. “I started an environment club in high school. I knew that this was something to do for the rest of my life … so I quickly realized I could also turn my passion into a career,” she said. Ego will perform spoken word at the program as her creative expression. Ego is sponsored by Benihana. Sydney Kikue Sugiyama Paderna, 24, a Yonsei, is from Oakland, Calif. She received a bachelor’s degree in sports psychology at the University of Hawai‘i at Manoa. She currently works at AEG, which runs events and programing for the Oracle Arena and O.Co Colosseum. Paderna is a devout Warriors fan and a former student athlete. She went into sports psychology after tearing her ACL before her senior year of high school. “I didn’t realize that, along with physical rehab, you needed mental rehab as well,” she said. “I didn’t want anyone else to go through that (grief).” Paderna will perform the koto for her creative expression. She is a student of Shirley Muramoto and has performed in past cherry blossom festivals. “I performed in the Kabuki Hotel, and it was really nice, I got a taste of what the queen program would be like because I would dress up in a kimono and get ready to perform in front of an audience,” she said. Paderna is sponsored by Friends of the Golden Gate Optimist Club. Jacquelyn Kimiko Chew, 26, a Yonsei, is from Buena Park, Calif. She received a master’s in marketing analytics from Northwestern University and a bachelor’s in public relations at the University of Southern California. She currently works for Facebook’s marketing team. 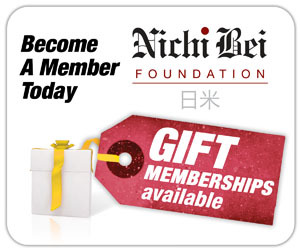 “I have been able to benefit from so many Japanese American community institutions. Things like Japanese American basketball leagues, and temples, and Girl Scout troops,” she said. “Growing up in this community, … I feel responsible to them to make sure that they continue to exist and thrive for generations to come.” Chew is a student of the Nishikawa Ryu school of dance and will perform nihon buyo. “I wanted to participate in the Queen Program to raise interest in Japanese traditional dance,” she said. Previously, Chew had performed in various Southern Californian festivals. Chew is sponsored by the Japanese Chamber of Commerce of Northern California. 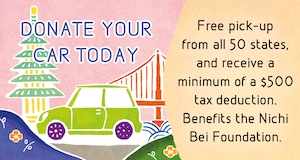 The program will be held Saturday, April 8, at the AMC Kabuki 8, 1881 Post St. (at Fillmore) in San Francisco’s Japantown. Doors open at 4:30 p.m. The program starts at 5:30 p.m. Tickets are $35 general admission, and can be purchased at www.nccbfqueenprogram.org.